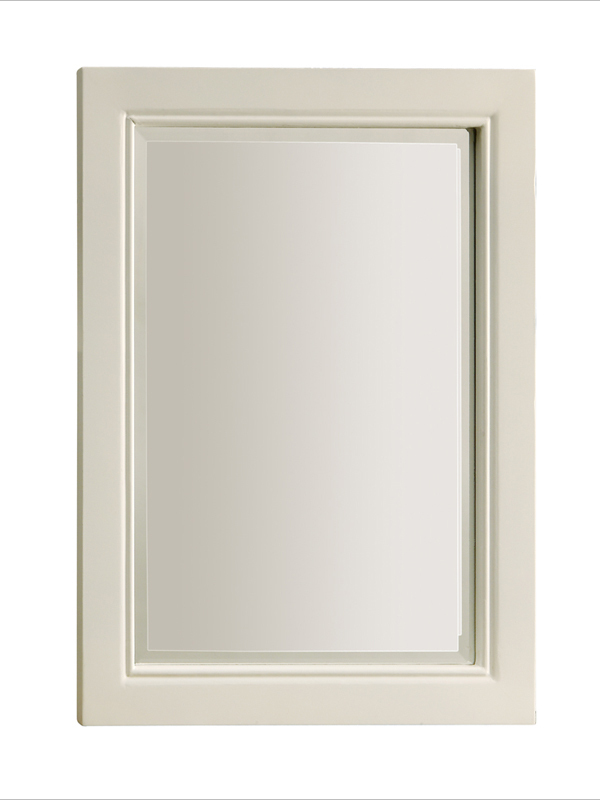 The Coventry Double Vanity is a charming addition to any traditional or transitional bathroom. 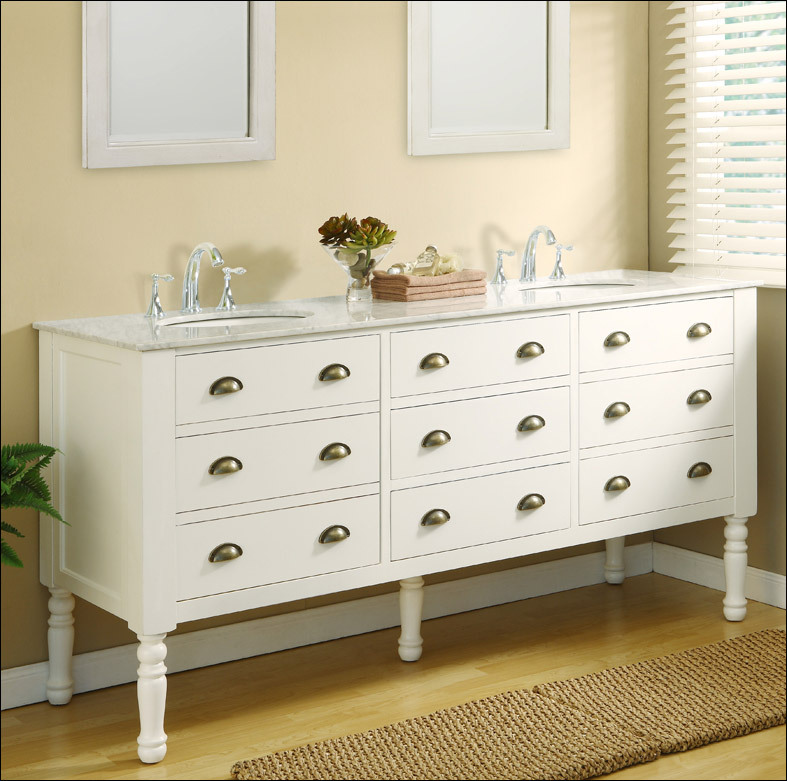 Tall legs, stylish use of drawer knobs on the front, and pearl white finish give this double bathroom vanity plenty of character while still matching more conservative decor. Three of of the "drawers" are functional, while the other six (three on each side) are actually doors. 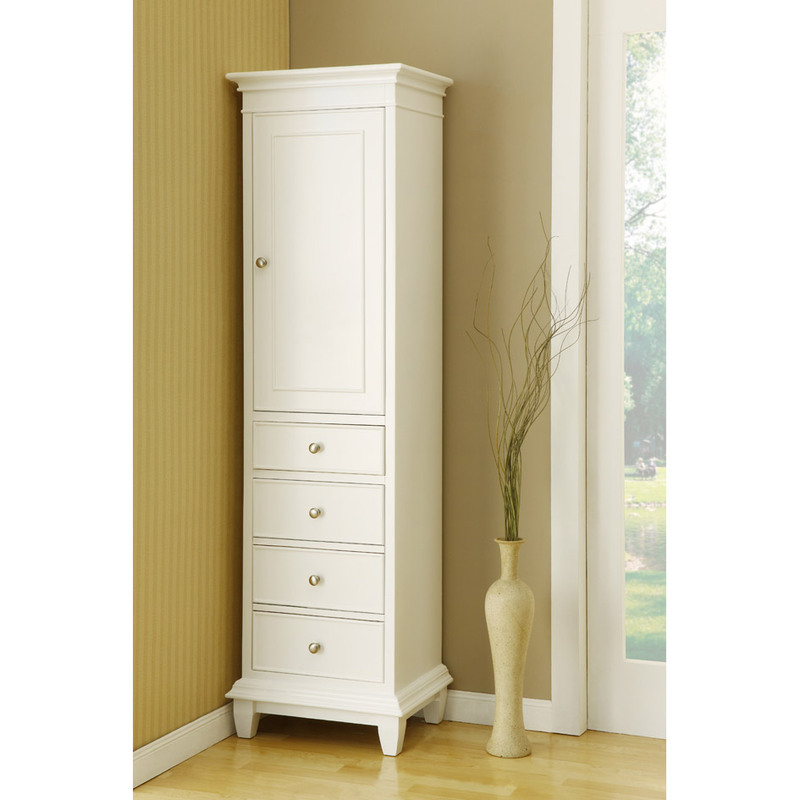 This vanity also provides plenty of utility, aside from its massive amount of storage. It is made from solid birch, and the countertop is natural white carrera marble. You will also receive two white porcelain undermount sinks with the top. Backsplash, faucets, and mirrors pictured are not included. 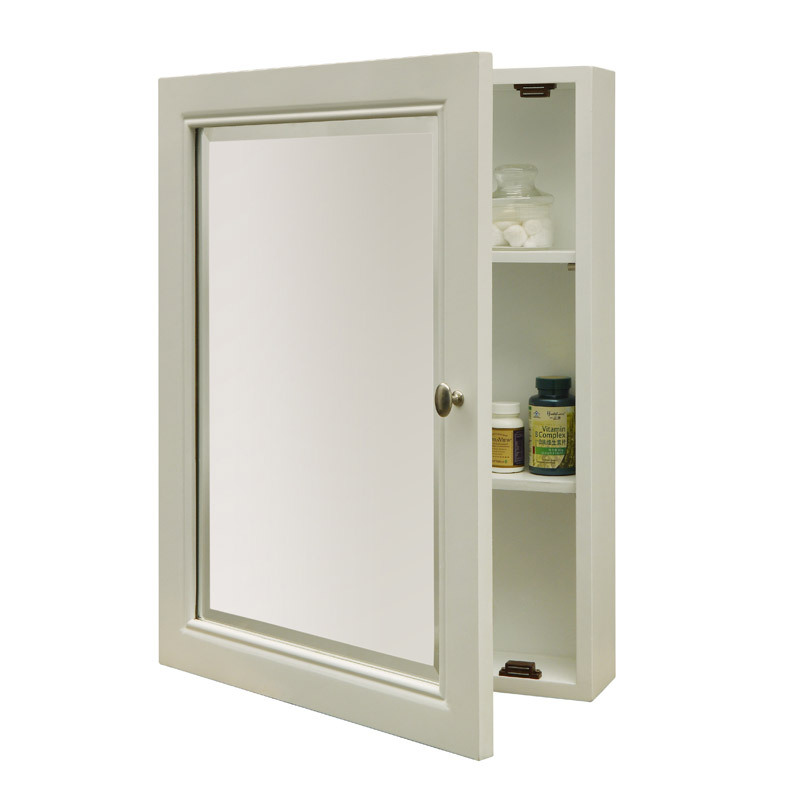 You can add matching mirrors, medicine cabinets, and a linen cabinet from the drop-down menus for a coordinated bathroom design!